Ok so the title is a bit misleading. 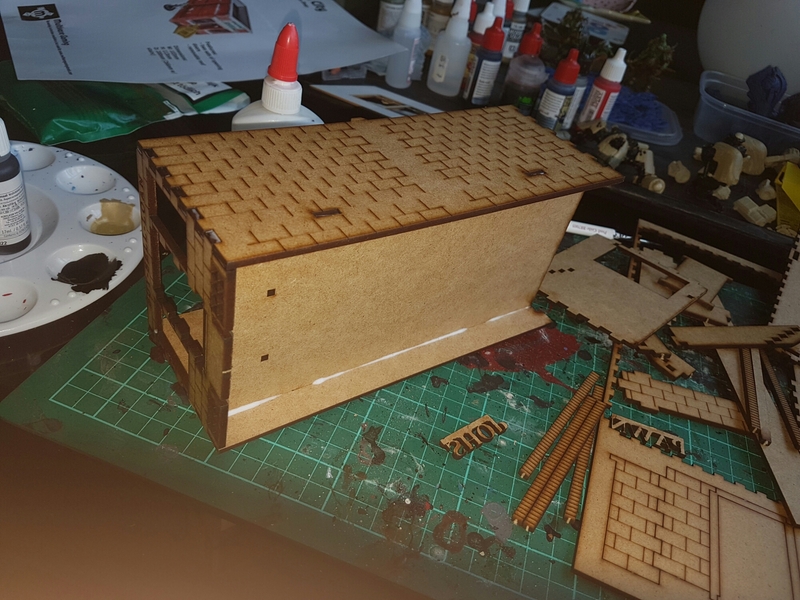 I am not attempting to build an actual Multiverse, more like one building from the Multiverse Gaming terrain range, which is currently on the desk with the first coat off paint drying. Obviously that is a stock photo not mine, my painting skills have not miraculously improved overnight. Back to the Multiverse. 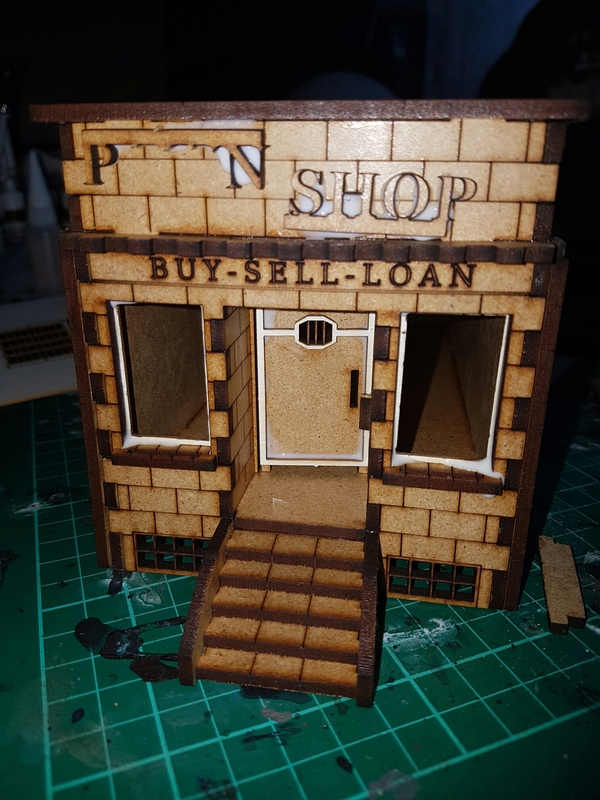 These kits are reasonably inexpensive and are made off mdf, now straight off the bat I have always thought the idea of mdf kits was a bit naff, a few months ago a local flgs was putting some together and my opinion changed to meh they look to fiddley. Having completed this build in under 2 hours which included paying more attention to a DC related TV show than the actual Kit, I have changed my opinion again. They aren’t that bad, actually they are quite nice. Even in bare wood they look good, and I think I have now found a way off getting some demo boards done without breaking the bank or my back. 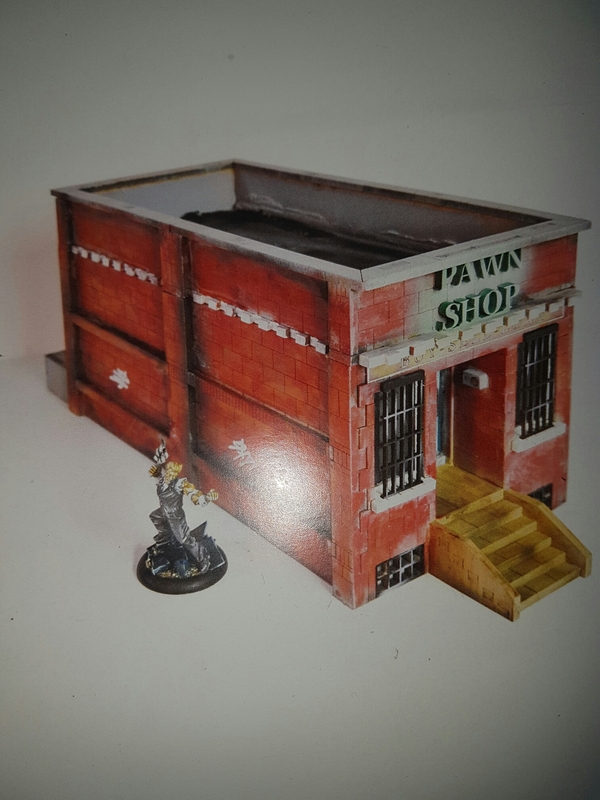 It is a given that this is a much simpler building than the one I watched being put together in the flgs and with size and complexity comes more intricate pieces and designs, that said the instructions were clear and concise so I am actually looking forward to my next acquisition with more hope than trepidation and it won’t spend 3 months on the shelf in the packaging. If you head over to facebook you will be able to see more in progress pictures as well. Right I best go see if that coat is dry yet.